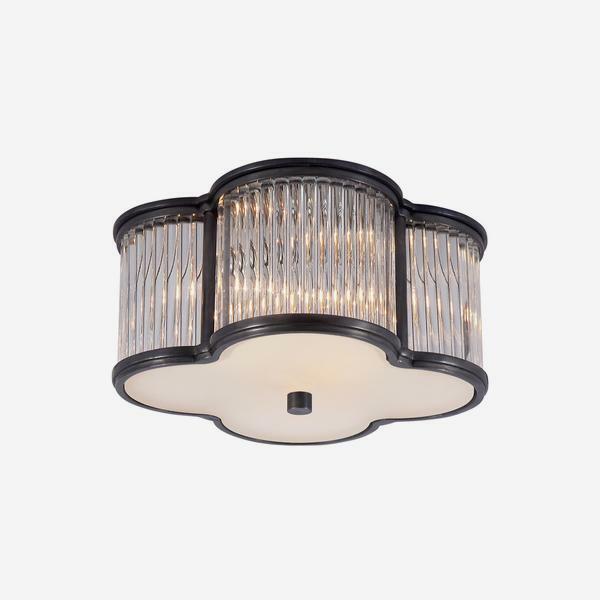 A glamorous Art Deco ceiling light shaped as a clover, crafted by high-style designer Alexa Hampton. 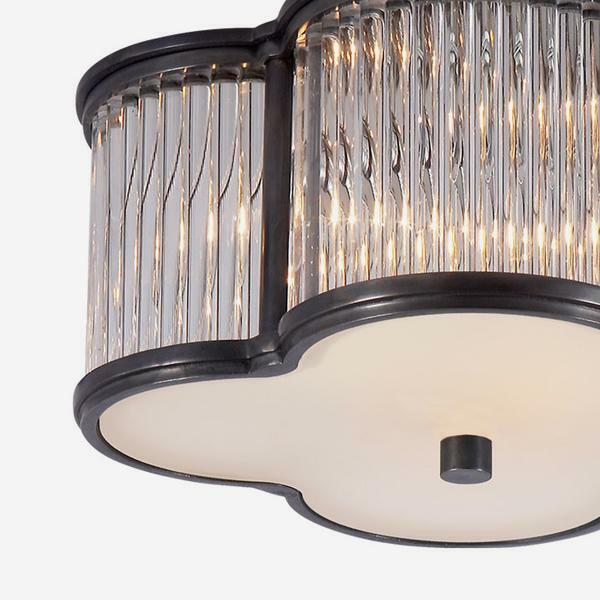 In gunmetal with surrounding clear glass rods and a frosted glass base, Basil lights a room with a low shimmer, as if ricocheting off crystal. Available in two sizes.